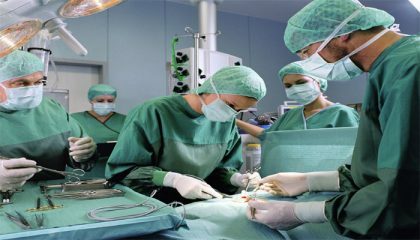 COIMBATORE: A city hospital has successfully performed a heteroptic heart transplant on a 45-year-old man, supposedly the first such procedure in Asia, as a result of which he now lives with two hearts. The transplantion was done on a beating heart using the Direct Pulmonary Artery Anastomois technique on May 30 at Kovai Medical Centre and Hospital (KMCH), Dr Prasanth Vaijyanath, consultant cardio-thoracic surgeon said in a press release. The man from Kerala had to undergo this procedure because of the high lung pressure, which did not enable him to undergo a normal heart transplant, he said adding that instead of having his old heart replaced with a new one, doctors connected the new (heart) to the old so that they could share the load. Terming it as a “hard and demanding surgery,” Vaijyanath said the patient’s own heart (native heart) was only 10 per cent operative. Stating that the weight, blood group and age of the donor was similar to that of the recipient, he said that such details are often compared and analysed before any heart transplant is done. congrats r prashanth and team ! Congratulations to the whole team of doctors and paramedics as well as the hospital administration for the success of this grand surgery !!! Congratulations to the Kovai team . Congratulations to the team !You have done Kovai proud! Hats off to the team for undertaking such a challenging surgery.